Social Innovation Generation concludes its decade-long run in its current form in December 2017. This blog is our opportunity to update our community and partners about SiG’s status and possible next steps. We are also conducting a short survey on what the social innovation ecosystem needs today – please take a few minutes to give us your input! SiG was only a twinkle in instigator Tim Brodhead’s eye in the mid-noughties. By 2007, SiG was born as a partnership composed of a charitable foundation (The J.W. McConnell Family Foundation), a business-sector-spawned urban innovation hub and convergence centre (MaRS), a university (Waterloo), and a serially innovative non-profit (PLAN Institute). SiG National emerged in 2008 in response to a recognized need for a backbone office, which was documented after the fact in the Center for Evaluation Innovation’s 2014 Evaluation Roundtable report. What was the Challenge Prompting SiG’s Birth? 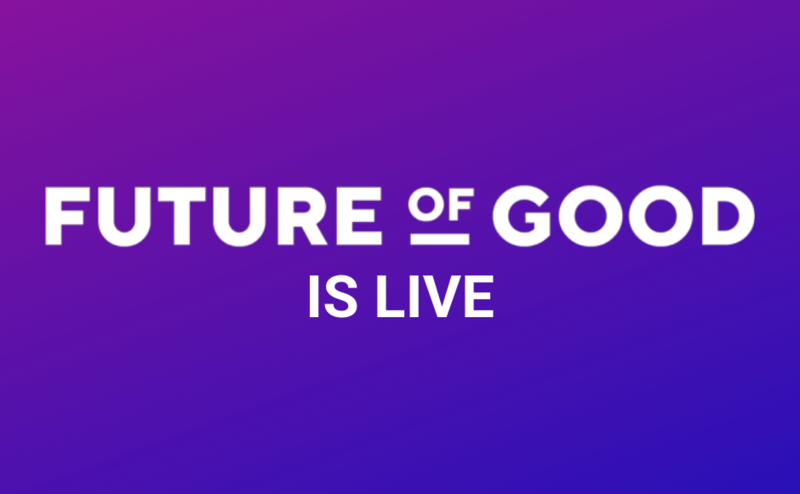 The catalyst for SiG was leadership in the McConnell Foundation sharing the frustration of the broader community that proven social impact innovations they and others funded were having a challenging time scaling. Too many entrenched systems didn’t like accommodating change. And Canada lacked enabling programs and services to add booster rockets to each social innovation’s liftoff. The original SiG idea was that a diverse group of partners could directly create the conditions for scale by fostering or encouraging institutions and governments to develop the missing or nascent elements of a robust social innovation ecosystem: the mindset, resources, partnerships, curricula, platforms and strategies needed for social innovations to scale, endure, and have impact. These partners integrate funders, innovators, academic researcher/teachers, MaRS’ civic-minded business leaders and governments. Each SiG institutional node made individual contributions, while concurrently collaborating as a team to be more-than-the-sum-of-their-parts and produce impact that would not be possible as individual actors. SiG National was created to be the vital backbone to enable collaborative impact for activities as diverse as the Canadian Task Force on Social Finance, communications and narrative building, policy support and connecting the dots on national and global network building. — contributing to new grant-maker approaches, competencies and traits helping shape new narratives for how civil society can impactfully initiate and co-create large scale social change. During the past decade, the founding SiG partners have valued important partnerships with a broad range of charitable organizations, foundations, nonprofits and governments (municipal, provincial, federal). 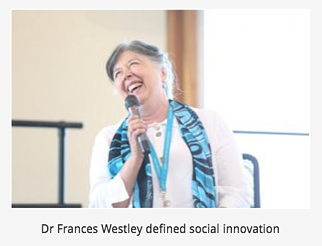 — Produced watershed insights informed by the McConnell Chair in Social Innovation, Dr Frances Westley and her colleagues at WISIR, contributing to global understanding of change in complex systems. Importantly this includes a definition of social innovation that recognizes the need to reduce vulnerability and enhance resilience. — Convened a cross-sectoral, blue-ribbon Canadian Task Force on Social Finance leading to the establishment of the MaRS Centre for Impact Investing, the mobilization of many millions of dollars in mission related investing, two social impact bonds, and multiple ongoing outcomes. — Supported Trico Charitable Foundation’s design of the 2013 Social Enterprise World Forum and subsequently invested human, knowledge and financial capital, lending octane to Alberta’s fast growing social innovation ecosystem. 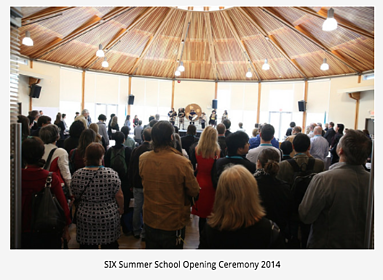 — In partnership with the City of Vancouver, Province of BC and numerous local organizations, the UK-based Social Innovation Exchange (SIX) brought their annual international Summer School to British Columbia in 2014, recognizing the pioneering work of the BC Partners for Social Impact and PLAN Institute and also the integrative partnership approach SiG has followed in international social innovation systems development. 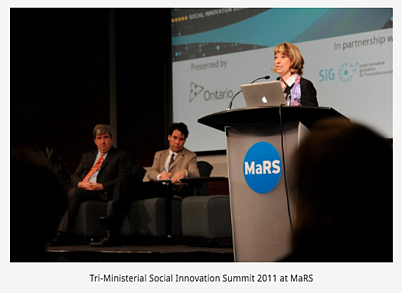 — Acted as early champion of social innovation labs’ role as catalysts for powerful multi-sector change collaborations, contributing to today’s globally recognized network of Canada’s emerging labs now organized around things like energy futures, reconceived social services and repurposing the engineering profession. — Inspired social enterprise incubators on numerous campuses (UNB, McGill, Concordia, Ryerson, SFU, etc.). — Championed the field of Indigenous Innovation by supporting development of two national summits, the Winnipeg Boldness Project, and the Indigenous Innovation Demonstration Fund. We see social innovation as a “big tent” and “big team” approach reflected in SiG’s focus on working at the macro- and meta- end of the social innovation spectrum. This is in order to accelerate the efforts of all sectors; to shift their deployment of resources to tackle complex problems through collaborative partnerships (described variously as collective impact or generative partnerships) using a system change lens. Is social innovation in the water supply? Certainly, we believe social innovation has begun to be part of the way that we understand and engage with complex challenges. Examining our circumstances through the lens of the Adaptive Cycle, we are in a process of creative destruction – of letting go – of the structures and resources that held us in this particular configuration for the last 10 years. We are now asking what new impactful arrangements of energy and resources could be next? And we would like to include you in this reflection. Some of the arenas of activity that are reorganizing themselves include the academic research work, which has evolved into the Waterloo Institute for Social Innovation and Resilience (WISIR) at the University of Waterloo. The Waterloo social innovation curriculum has been seeded from the University of Waterloo to the Banff Centre through their summer immersion program in Social Innovation. WISIR graduates have started additional educational programs at Mount Royal University and Simon Fraser University. Our support for regional network building and policy work is reflected in collaborations such as the Partners for Social Impact in British Columbia and ABSI Connect in Alberta. Our policy work is now collated on our website here. and is disseminated via thought leadership initiatives and partnered convenings with Public Policy Forum, Ontario Trillium Foundation, Philanthropic Foundations Canada and Community Foundations of Canada (CFC). Our incubation of nonprofit sector innovation, organized through Social R&D, has evolved into a national partnership with the CFC. 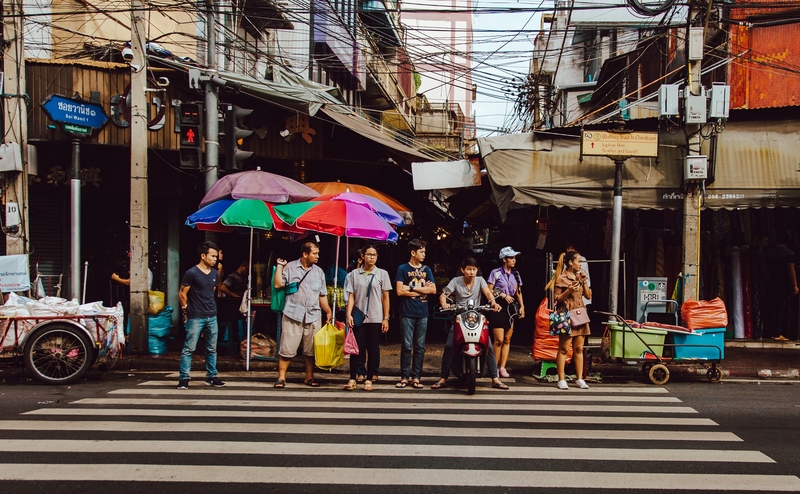 More recently, we have actively collaborated with the McConnell Foundation on social innovation initiatives such as RECODE, Cities for People and Smart Cities challenges. Rather than re-inventing wheels, SiG has always valued nurturing international relationships and partnerships that allow us to learn from our analogues around the world. In fact, the first joint activity of SiG was a learning journey to the UK with Canadian partners from foundations, government, and research institutes. We subsequently supported regular thought leaders’ visits to assist Canadian innovation leaders, institutions and governments to leap frog strategies and avoid duplicating knowledge generating efforts. Sometimes these visits helped spark local investments in infrastructure or programs. Sometimes the nurtured ideas faltered before reaching liftoff, such as the highly anticipated Alberta Social Innovation Endowment Fund that had been championed by two premiers. We have a learning partnership with The Australian Centre for Social Innovation (TACSI), an organization that started shortly after we did. 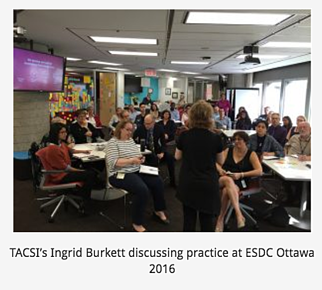 In 2016, TACSI did an intensive knowledge-sharing seven city tour of Canada. Stephen Huddart will be hosted by them later this year on an Australian speaking tour. Learning from global partners, SiG continues to decode and disseminate proven templates of social innovation platforms like UpSocial (a European strategic partner helping JUMP Math and other innovations scale outside of Canada) and The Young Foundation. Slated to close in its current form (SiG 3.0) later this year, SiG has accelerated its 2017 partnerships to assist the birth of key future-focused resources before our denouement. At the same time, there are various visions and multi-institution conversations about potentially spring-boarding “SiG(s) Next”. Such possible successor activities, whether branded as SiG or not, would address remaining ecosystem gaps and challenges while supporting continuing efforts to catalyze, develop and mainstream social innovation. SiG is fortunate to have this year, 2017, to plan an orderly exit or possible transition to a successor vision or platform. This year includes preparing a set of resources to capture and make accessible the SiG story, valuable insights, key tools and research reports. A Toronto capstone event is planned for November 28th to launch a book, website and knowledge repository. Please take note of the date! In order to receive information about the forthcoming book and other news, please sign up to our newsletter. As well, a national collaboration including the network of alumni from social innovation educational programs is planning a 2017 Social Innovation Summit to convene social innovators from across Canada and grow the community of practice. As a part of this reflective and transitional work, it is important for us to hear from you. We have prepared a short survey to better reveal the growth of the social innovation ecosystem in Canada and around the world. To assess the value of the resources we have generated, we’d love to know your sources of knowledge and inspiration, and which communities feed your work. Your input is enormously valuable. Thank you and stay tuned for further updates! 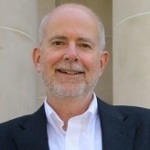 Tim is the Executive Director of Social Innovation Generation (SIG) National. SiG is a partnership of The J.W. McConnell Family Foundation, Toronto’s MaRS Discovery District, and the University of Waterloo. SiG acts a catalyst for strengthening the enabling ecosystem for social innovations to be able to go to scale and generate whole system change. In 2010 SiG convened the Canadian Task Force on Social Finance, a blue ribbon panel that proposed a seven-point agenda for mobilizing private capital for public good influencing federal, provincial and municipal policy across Canada. 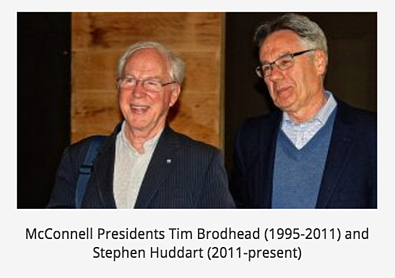 Tim was the founding CEO of Tides Canada Foundation and serves on the boards Trico Charitable Foundation, Social Innovation Exchange (SIX), Partnership Brokers Association (PBA), and is a member of the Scientific Advisory Board of Grand Challenges Canada (GCC). Tim is a senior advisor to the MaRS Centre for Impact Investing (CII). 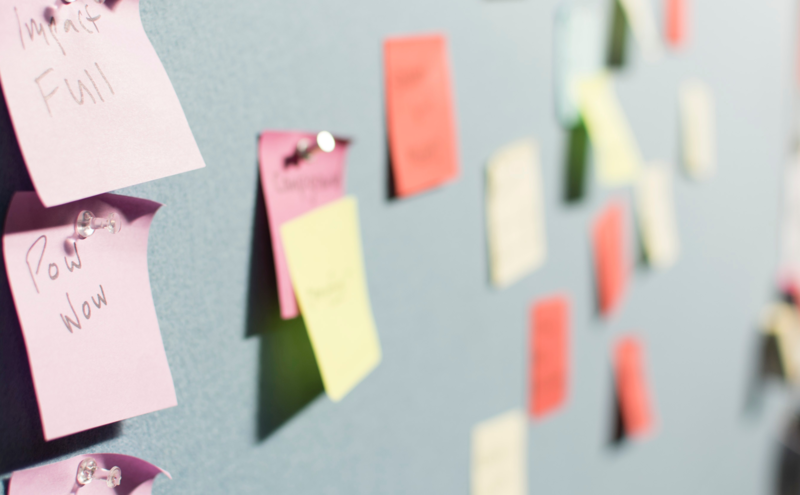 Where Can Your Work Have the Most Impact?